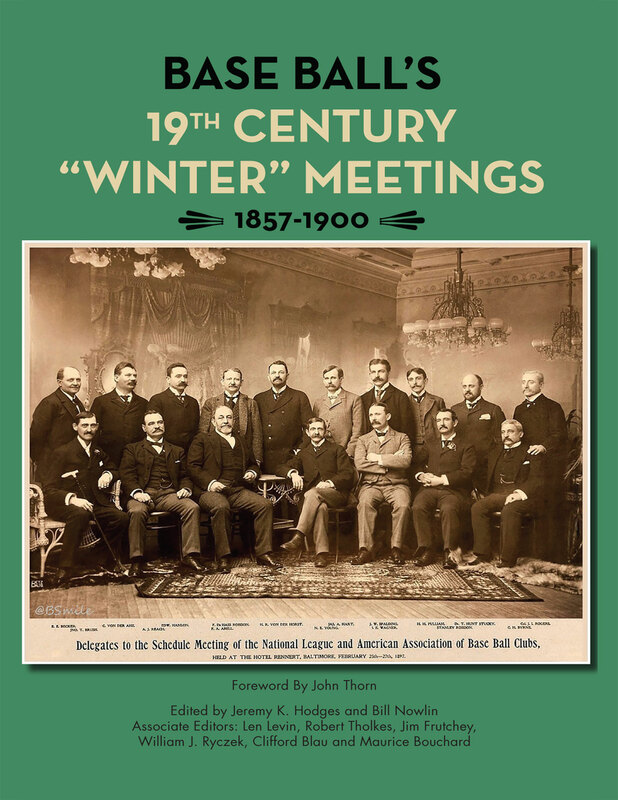 Get your copy of SABR's three-volume series detailing the history of baseball's Winter Meetings, including our newest title and published by the SABR Digital Library: Baseball's 19th Century "Winter" Meetings (Volume Three), edited by Jeremy K. Hodges and Bill Nowlin. Click here to download a free e-book copy of Volume One, covering baseball's Winter Meetings from 1901-57, and Volume Two, covering the Winter Meetings from 1958-2016. Please consider joining SABR member Tyrone Brooks and the Baseball Industry Network at the annual Baseball Industry Network Baseball Winter Meetings Morning Meet-Up on Tuesday, December 11, 2018, from 8:00-10:00 a.m. at the Mandalay Bay Resort and Casino. The exact location will be e-mailed to all registered attendees. Come on out, grab a coffee and mingle with fellow members of the Baseball Industry Network. As in past years, representatives from various major-league and minor league organizations will also be in attendance to network and screen potential candidates for various openings (full-time, internships, etc.) If you are someone looking for that big break, definitely be sure to stop through. There is no cost to attend the morning meet-up, but like in past years, Tyrone is asking attendees to make a small donation ($5-10) to attend. If you are with an organization and looking to screen potential job candidates, please e-mail tbrooksbin@gmail.com. We are also looking for some volunteers who can assist during the event. Follow the Baseball Industry Network on Twitter at @tbrooksBIN to get instant updates leading up to the event. This page was last updated December 6, 2018 at 6:23 pm MST.